Get the look of high-end commercial flooring without the price with luxury vinyl tile (LVT). LVT mimics the look of wood, stone, or ceramic tile while delivering durability and affordability, giving building owners a practical option for flooring. Because of its resiliency, LVT is a smart choice for commercial buildings as it is a “no-wax” flooring, and easy to maintain. In the event the individual tiles get damaged, they can be individually replaced. Commercial luxury vinyl tile flooring is the perfect choice for office buildings and other general commercial spaces that experience high traffic. Browse the high-quality LVT selections that Intex Flooring can bring to your facility. 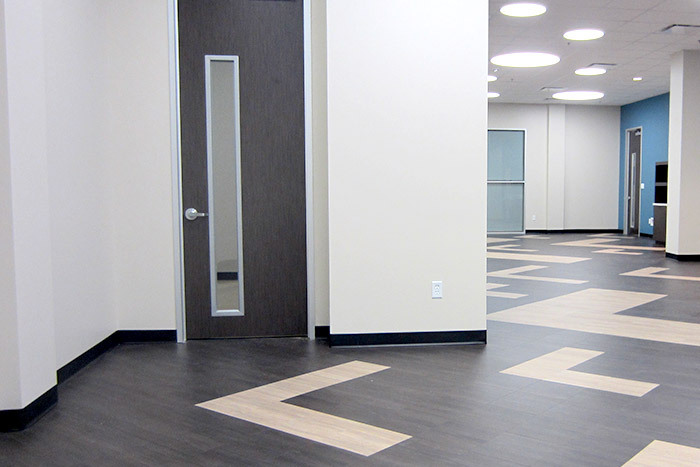 Interested in luxury vinyl tile for your commercial facility? We can help you find the right flooring for your needs. Reach out to discover the beauty that LVT can bring to your commercial facility. 2019 Intex Commercial Flooring All Rights Reserved.